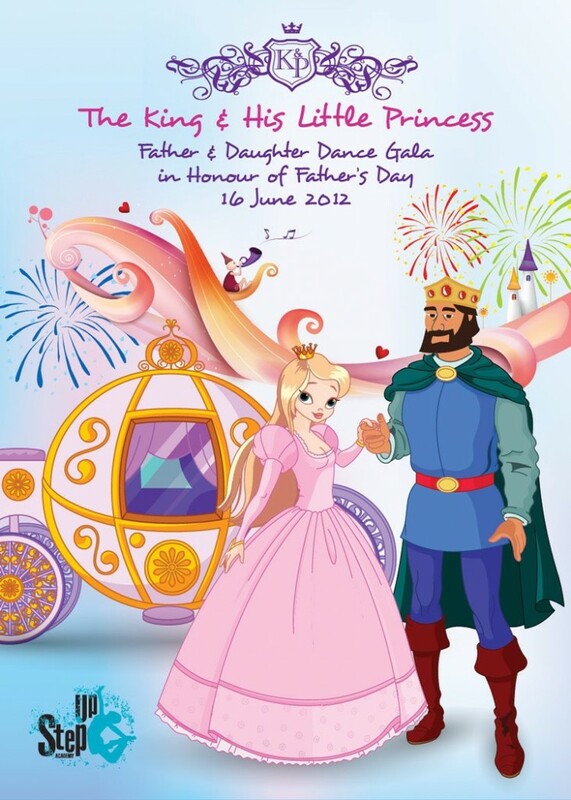 The King and his little Princess is a wonderful, magical combination of Father-Daughter dancing and gala dinner to be held on Father’s Day (16th June). It is a lovely opportunity for Fathers to better connect with their Daughters, share an unforgettable experience together and for Fathers to grant their little princess her wish – to spend “quality time with Daddy.” The program includes 3 hours of easy dance practice, allocated on 3 consecutive Saturdays (26 May, 2 & 9 June, 2012), taking place in 6 different locations for added convenience. Fathers and Daughters will be taught the basic dance moves of the Father-Daughter dance so they can have a blissful, amazing night together with Mums, family and friends at the final Gala. How to register for the Father-Daughter event? 4. On 16 June, Father’s Day, enjoy the final Dance Gala at Al Murooj Rotana with your lovely family, relatives, and friends. It will be one blissful night of dance, music, entertainment, dinner, fairy show and a lot of presents and surprises!